Major Robert Odell Owens (June 28, 1936 – October 21, 2013) was a New York politician and a prominent member of the Democratic Party who served in the United States House of Representatives from 1983 to 2007, representing the state's 11th Congressional district. He retired at the end of his term in January 2007 and was succeeded by Yvette Clarke. Owens was born on June 28, 1936 in Collierville, Tennessee to Ezekiel and Edna Owens. Owens was raised in Memphis, Tennessee and his father worked in a furniture factory as a laborer. He received a bachelor's degree in 1956 from Morehouse College in Atlanta, Georgia, and received a master's degree in library science in 1957 from Atlanta University, which is now known as Clark Atlanta. Owens began his career in librarianship. After obtaining his master's degree, Owens settled in Brooklyn, New York and began his career as a librarian at the Brooklyn Public Library from 1958 through the late 1960s. At the same time, Owens became active in the Congress of Racial Equality and other community groups. Owens, a community information librarian, became known for "placing Brooklyn Public Library collections in public places such as laundromats, stores, bars, and anywhere people gathered." In 1969, Owens worked with a group of other New York librarians, including Miriam Braverman, Anne Littlejohn, Betty-Carol Sellen, Joan Marshall, Hardy R. Franklin, Pat Schuman, Andrew Armitage, and Mitch Freedman, to establish the New York Social Responsibilities Round Table. This organization became part of the New York Library Association and its mission was "to create a central position for libraries and librarians in the battles for civil rights, social justice, peace, and ever-improved public access to education and information." Although having moved from his career in librarianship into his political career, in 1979 and 1991, Owens was a featured speaker at the White House Conference on Libraries. In 1996, Owens received the American Library Association's highest honor—honorary membership. In 1968, New York City Mayor John Lindsay made Owens the commissioner of New York City's Community Development Agency. After serving in this position for approximately five years, successfully ran for and was elected to the New York Senate. He was a member of the New York State Senate from 1975 to 1982, sitting in the 181st, 182nd, 183rd and 184th New York State Legislatures. 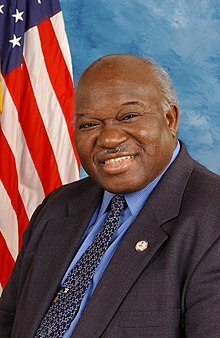 In 1982, he was elected to the U.S. House of Representatives, replacing the retiring Shirley Chisholm, where he remained until his retirement in 2006. Owens became known as "The Librarian In Congress." Owens's career in Congress is marked by his advocacy for and support of library funding and education issues; in particular public libraries, school libraries, and librarianship. In Congress, he worked closely with American Disability activist Justin Whitlock Dart who often was visiting his office on Capitol Hill and provided testimony before Owen's Subcommittee on Select Education in the House, during the late 1980s and early 1990s, prior to the passage of the ADA when it was being heatedly debated. Owens served as floor manager of the Americans with Disabilities Act (ADA) and aided in its enactment. Owens represented a diverse district located within Brooklyn, New York which included many African-Americans, Hispanic-Americans and Jewish Americans, including a large Hasidic Jewish community. His district included low income areas of Brownsville, a large Hasidic area of Crown Heights, the heavily Caribbean areas of Flatbush and East Flatbush, and the now upscale neighborhood of Park Slope. Although Owens won the 2004 Democratic primary with just 45.44% of the vote, he was re-elected in 2004 general election with 94% of the vote. In 2006, Owens decided to retire at the end of his term (January 2007). In the 2006 election, Yvette Clarke, who had run against Owens in the 2004 primary, won the election and became Owens successor. Owens was one of 31 who voted in the House to not count the electoral votes from Ohio in the United States presidential election, 2004. He was a member of the Congressional Progressive Caucus. He received an "A" on the Drum Major Institute's 2005 Congressional Scorecard on middle-class issues. At some point in his life, Owens was a member of the Democratic Socialists of America. In 2006, Owens decided to not pursue re-election and retired from Congress, thereby ending his political career. Owens indicated that he wanted to spend his time writing novels and poetry. In 2006 after Owens's retirement decision, the Librarian of Congress announced that Owens would be appointed as a distinguished visiting scholar at The John W. Kluge Center with the position to commence in January 2007. During his time at The John W. Kluge Center, Owens's work focused "on a case study of the Congressional Black Caucus and its impact on national politics." Owens used his time at the Kluge Center to research and write his book The Peacock Elite: A Subjective Case Study of the Congressional Black Caucus and Its Impact on National Politics," which was published in 2011. Owens served as a senior fellow for the DuBois-Bunche Center for Public Policy at Medgar Evers College. Owens was married twice. His first marriage to Ethel Werfel ended in divorce after twenty-five years. From his marriage to Ethel, Owens had three sons: Brooklyn politician Chris Owens, actor Geoffrey Owens (best known for playing "Elvin" on The Cosby Show), and Millard Owens. He then married Maria A. Cuprill (Maria Owens) who had two children. Owens died October 21, 2013 in New York City of congestive heart failure. He was 77 and is survived by his wife, Maria Owens, his three sons from his first marriage, two step-children from his second marriage, four grandchildren, and five step-grandchildren. ^ a b c d e f g h i j k l m n o p q r s Bernstein, Adam (24 October 2013). "Major Owens: Librarian, politician and author". The Washington Post. Retrieved 27 November 2016. ^ a b c d e f "Major Owens Remembered". The eBulletin. New York Library Association. Retrieved 27 November 2016. ^ a b c d e Berry, John (3 December 2013). "Major Owens: Years in politics but always a librarian". Library Journal. Retrieved 27 November 2016. ^ a b c d e f g "2013-2014 ALA Memorial #2 - Memorial Resolution for Major Owens" (PDF). ALA. American Library Association. Retrieved 27 November 2016. ^ "Former Brooklyn Congressman Major Owens dies aged 77". NY Daily News. Retrieved October 22, 2013. ^ Byzek, Josie. "Major SAYS: An interview with Rep. Major Owens". Mouth Magazine (September/October 1999). Retrieved 28 November 2016. ^ "Drummajorinstitute.com". www.drummajorinstitute.com. Retrieved 4 September 2018. ^ "Congress at the Midterm: Their 2005 Middle Class Record" (PDF). Drum Major Institute for Public Policy. Archived from the original (PDF) on 2 December 2006. Retrieved 15 January 2017. ^ Stein, Jeff (August 5, 2017). "9 questions about the Democratic Socialists of America you were too embarrassed to ask". Vox. Retrieved September 21, 2018. ^ a b "US Congressman Major Owens Named Distinguished Visiting Scholar at John W. Kluge Center". Library of Congress. 26 December 2006. Retrieved 27 November 2016. ^ "Hon. Major R. Owens". Library of Congress. Retrieved 27 November 2016. ^ "DuBois Bunche Center for Public Policy: Faculty". Medgar Evers College. Archived from the original on 28 November 2016. Retrieved 27 November 2016. ^ "Former Brooklyn Congressman Major Owens dies aged 77". NY Daily News. Retrieved 22 October 2013. United States Congress. "Major Owens (id: O000159)". Biographical Directory of the United States Congress. This page was last edited on 14 April 2019, at 06:47 (UTC).